Madden Industrial Craftsmen is currently looking for Shipyard Laborers to fill immediate openings with a company located in Portland, OR. Interested candidates should have experience in construction, painting, grinding, clean up, and power washing. - Able to lift up to 50 lbs. - Experience in construction, painting, grinding, clean up, power washing. - The starting salary for this position is $15.00 per hour. 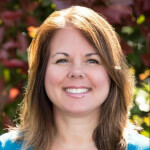 Raquel joined the Madden Industrial team in 1999 as a recruiter in the Beaverton office. She graduated in 1990 from the University of Oregon, earning two bachelor’s degrees, one in Marketing and one in Management. Prior to working with Madden, Raquel was a Senior Account Manager with Kellogg’s for 6 years. At Madden, Raquel is known for having a great relationship with employees and clients, and always seeking the best service for each job order that comes through. Raquel is certified by the National Association of Personnel Services as a Certified Temporary Staffing Specialist. During her free time, Raquel and her husband are very involved with their 2 teenage children and their sports and school events. They also, enjoy time at the Oregon Coast and Sunriver, in addition to traveling to different cities and countries.